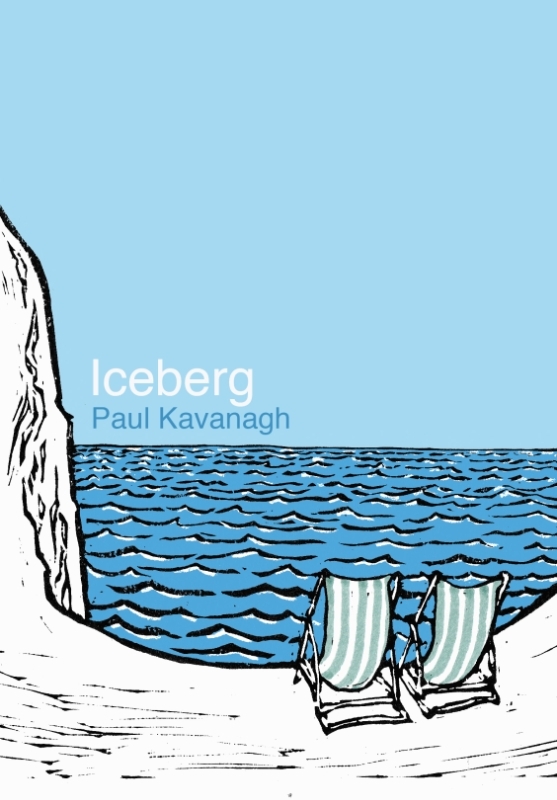 Iceberg is the definitive apocalyptic feel-good novel from Paul Kavanagh, the mind that bludgeoned readers with The Killing of a Bank Manager. 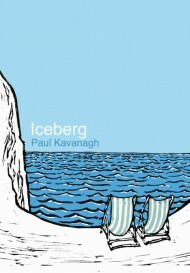 Iceberg centres around Don and Phoebe, a naïve yet loveable couple from the north of England who happen to win an iceberg. Read on as Don and Phoebe rush across Europe, Africa and Antarctica in search of their prize. Will Don and Phoebe make it? Where is humanity heading? No, honestly, where is humanity heading with all the technology and celebrities in a world where everything now seems possible but nothing really is? Just a few light-hearted questions that Iceberg doesn't attempt to answer. Part travel book, part black comedy, this three-part tale will amuse and inspire readers to take up arms, against themselves. A bus took them out of town and they walked a mile in the heat to the motorway. They would hitchhike to London; spend a day and night in London. Don would send a postcard to his father, they would visit some of the free museums, spend some time in the parks. From London they would hitchhike to Dover. They would catch a ferry to Calais. In the paper there had been coupons which they had cut out. With the coupons the price of the ferry from Dover to Calais was a pound. From Calais they would hitchhike to Paris. This would be the only detour. In Paris they would visit the free museums, spend some time in the parks. After Paris it was Antarctica. They stood on the side of the motorway and took turns holding out a thumb. It didn’t take long for them to find their rucksacks worked as chairs. A bag of peeled carrots sustained them. “Every time we see a dead car we cheer,” said Phoebe. “It’s a game. It’s called the dead car game. It will be fun,” said Phoebe. Morning soon slipped into midday. “I thought we would be in London by now,” said Don. He wasn’t being facetious. He sighed. “I can’t believe all these cars are passing us by and not one has stopped,” said Phoebe. It was her turn to stick her thumb into the air. “We are doing something wrong,” said Don. He thought about asking Phoebe to show some leg. He knew that some motorists and lorry drivers liked to see some leg on a miserable day. Phoebe had nice legs. It started to rain. They could not escape the rain. The rain cleared. In the rising fog they sat and watched the train of cars fly past them. “I used to think I was some kind of Gypsy boy,” sang Don. Phoebe smiled and stood up. “Put your favorite hat on,” said Phoebe. A woman in a big car took them to the nearest service station. The cars were getting bigger but the roads were staying the same size. The car had trouble parking. At the service station they had a cup of tea. The woman told Phoebe that she only stopped because she wanted to find out about the hat. The woman said that she was going in the opposite direction but seeing the hat made her turn around. Phoebe thanked her. Don returned from the restroom and sipped his tea. The two women laughed seeing the hat. By the side of the road Phoebe found a pair of discarded headphones. She picked them up as though she was unsure just what they were. Still slightly perplexed she walked over to the rubbish bin. “Keep them. They are the new kind. They are very expensive,” said Don. This book is tagged with: book snob, boris vian, charles haddox, ebooks, grady harp, iceberg, illustrated books, illustrated fiction, illustrated novels, kindle ebooks, neon a literary magazine, new ebooks, novella, paul kavanagh, Raymond Queneau, switchback, untoward. This entry was posted on Friday, May 11th, 2012 at 10:30 am and is filed under Kindle Book Store, Novels, Our Books. You can follow any responses to this entry through the RSS 2.0 feed. You can leave a response, or trackback from your own site.